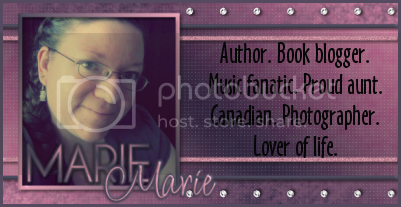 I'm really excited to kick off the Blogger Book Fair with a visit from Shannen Crane Camp. Shannen is an absolute sweetheart and it was a pleasure to talk to her and get to know her better. I had a lot of fun interviewing her, and I hope you enjoy her answers as much as I did! When and how did you get started as a writer? What has your journey been like so far? I started ‘writing’ when I was in the fourth grade…though it was all completely terrible! I started seriously writing when I got to college and that’s when I finished my first published novel “The Breakup Artist”. I was lucky to find a publisher with that book pretty fast. Since then, I’ve self-published two books (“Finding June” and “Pwned”) and I’ve signed a dystopian YA trilogy (“Sugar Coated”) with a new publisher CHBB Publishing. My journey has been a lot of fun! I mean the millions of rejection letters you have to get as an author aren’t fun, but I LOVE being able to share these stories and characters that I love with others. If you could branch out and write in a genre that you haven’t already tried, what genre would it be? I would love to write murder mysteries. I love to read them, but I’m just not sure I’m clever enough to write them. From the very first page you’d know who did it. I can still hold out hope though, that one day I’ll be skilled enough to do that. For the longest time I wished I could write dystopian until I finally just sat down and did it. Do you have any writerly habits or quirks? How about superstitions? I have folder and FOLDERS of pictures pertaining to my books. Everything from what clothes they wear, to what they look like (I usually have a celebrity in mind when writing so I’m pre-casting my books), and even pictures that just match the general feel of my book. I also make a playlist that gets me in the mindset of what I’m about to write, though I can’t listen to it while I’m writing, just while I’m going about my day and getting ready to write. A lot of times I’ll even find music videos or clips from movies to watch right before writing. I’m a very visual person. It looks like you have a ton of upcoming projects in the next year. Can you tell us what we can expect from you next? Oooo this is a fun one! I’ve got the first book in my dystopian YA trilogy coming out September 6th. It’s called “Sugar Coated” and I’m in love with it! The other two books in that trilogy should follow soon after though I don’t have any solid dates for them yet. In December I’ve got the second book in my LDS YA fiction series coming out called “Chasing June”. That one has been difficult because I originally had it scheduled to be released in July. Then pushed it back to August. And now that “Sugar Coated” is coming out in September I’ve moved it to December. But I swear that’s where it’ll stay! I’m too excited to push the release back any more! I’ve also recently finished a New Adult (sort of paranormal-ish) book called “Under Zenith”. I’m seriously in love with this book right now and I can’t wait for it to be released…though I have NO idea when that will happen sadly. Since this is a blogger fair, can you tell us what your favourite thing is about the blogging/writing community? I love how connected everyone is! I’ve met so many amazing people since becoming an author. I love the fact that this community is all about helping each other out. It’s not like a competition because no two books are exactly alike, so everyone is really anxious to help each other out. It’s the most close-knit community I’ve ever been a part of. Plus I love book bloggers because they love books. Boom! Common interest right off the bat. Do you create playlists for your books? If so, what type of music usually appears? I ALWAYS create a playlist for my books. Granted I never listen to it while writing. I normally need complete silence while writing, though lately I’ve been listening to the Portal 2 soundtrack when I write. No lyrics to distract me and it’s loud enough to drown everything else out. But I love to make playlists specific to my books to listen to when I’m going to start writing. It gets me in the proper mindset. The music always varies depending on the book. Like for “Pwned” is was a bunch of music from video games and nerdy vloggers like “The Guild” or “Charlieissocoollike”, whereas with something like “Under Zenith” I listened to a lot of indie music and acoustic folk and stuff like that. If you could give any piece of advice to an aspiring writer, what would it be? Don’t give up and DON’T get discouraged. It’s so easy to get discouraged in this business and give up but if you listen to every little bad review or person who puts you down you’ll do one of two things. You’ll make your stories terrible by trying to please every group of people who have given you any criticism, or you’ll stop writing all together and neither of those options is worth it. Write because you love it, and keep going. I’ll do my top 5 in no particular order! “That Thing You Do”, “Hitchhiker’s Guide to the Galaxy”, “The Great Gatsby” (Baz Luhrmann version because I love his movies! ), “RV” (Yeah…I have no idea why I love this random kids movie so much), and “Bandits” (because who doesn’t love a bank robber?). Top five again! Lights, The Elected, Panic! At the Disco, Owl City, and Andrew Bird. In my room locked away like a hermit! I can’t write in front of people because I make all sorts of weird facial expressions, mimicking my characters to see how I would describe that face. It’s seriously embarrassing. What are some of your favourite things to do when you’re not writing? I love to play music, whether it be on the piano, guitar, drums, flute, anything really. I love music. I also love to paint, and play video games (I’m a HUGE nerdy gamer), and I get way too addicted to TV shows. It’s called “Sugar Coated” and it’s the first book in a trilogy. It’s about a society where everything is free, there’s no money, barely any jobs, and everything is perfect, but one girl starts to suspect that something more is going on with the city. She even has these weird nightmares every night that this woman is torturing her for information she doesn’t have, but she starts to suspect these are memories and not nightmares. So she sets off to discover the truth behind the city’s perfection and figure out who this woman is. A lot of authors come up with dream casts for their novels. Do you have one for your latest book? Oh I most definitely have a dream cast for my book! Are you ready? I got to build an entire world! It was so fun to know that there were absolutely no rules. I could create all my own social norms, technology, and everything! It was so fun to play around with that and decide what would be normal and what wouldn’t. Plus I love writing a main girl character who’s so strong. I try to make all of my female characters strong but Brynn is like…reckless and curious to a fault. That was a fun thing to write. It was sort of like watching a horror movie where you’re shouting “No don’t go in there! Are you insane?” but they still go and do the crazy stupid thing you tell them not to. So fun! What was the worst/hardest part about writing this book? The restrictions I placed on the world were hard to keep track of sometimes. Like the fact that they aren’t technically on Earth meant I couldn’t say things like “What on earth are you talking about?” That was hard. Plus having to mentally have an entire backstory for a whole civilization was hard! Even though I didn’t necessarily write out the entire backstory, I need to know what it is as an author to make sure everything is consistent. If someone asked you ‘why should I read this book?’ what would you tell them? You’ll love the characters (both the serious ones and the ones who are totally just comic relief). Plus I feel like most dystopian books end on a slightly depressing note. While these ones will leave you with questions until the last book, they’re not so hopeless. You don’t feel depressed to be part of the human race after reading it. It’s very optimistic about the human spirit. Plus there are some swoon worthy moments and who doesn’t love those? Not to mention the total panic inducing moments where you’re pretty sure every person in the book is a goner. There’s a lot of those. Sadly it’s not out until September 6th, but when the publisher releases it, you should be able to purchase it at Barnes and Noble (both online and in store), Amazon, and any other online retailer or e-book seller. Until then, here’s the link for the Goodreads page. Go add it to you TBR list! I’m so excited to be a part of this Blogger Book Fair! And I LOVE meeting readers and writers so stop by, say hi, and let’s chat! Be sure to check out Shannen's awesome book trailer for Sugar Coated. It made me even more excited for the book! Shannen Crane Camp was born and raised in Southern California, where she developed a love of reading, writing, and anything having to do with film. After high school, she moved to Utah to attend Brigham Young University, where she received a degree in Media Arts and found herself a husband in fellow California native Josh Camp. The two now live in either California or Utah... they still can't decide. Thanks again for being here today Shannen, it’s been an absolute pleasure. If you'd like a chance to win an ebook of Finding June or Pwned, be sure to enter my Blogger Book Fair Giveaway! What a great interview! Can't wait to read her books.